Thomas examined Your life-giving side with his probing right hand, O Christ our God. As You entered, though the doors were closed, he cried out to You, with the other Apostles "You are my Lord and my God." 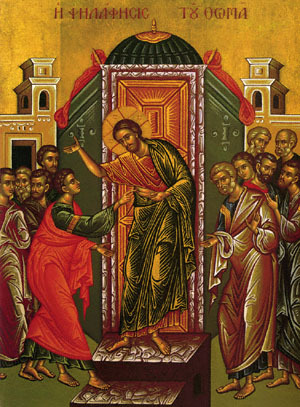 Share the feast of 2nd Saturday after Pascha with an icon greeting ecard.